AMMONNEWS - As ISIS defended its last scrap of territory against Kurdish-led forces in eastern Syria, a spokesman Monday urged followers to attack them elsewhere in the war-torn country. 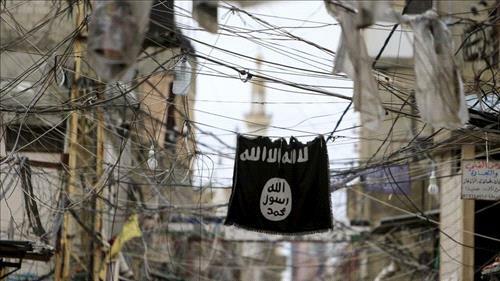 An ISIS spokesman, in an audio recording posted on Telegram, called for action from the group’s supporters in areas held by the Kurdish-led Syrian Democratic Forces. “Avenge the blood of your brothers and sisters... Set up the (explosive) devices, deploy the snipers,” said the spokesman, named as Abi Hassan al-Mujahir. Al-Mujahir also said that the displacement of “the weak and poor” from Syria’s Baghouz would not weaken the group. “Do you think the displacement of the weak and poor out of Baghouz will weaken the Islamic State? No,” Abi al-Hassan al-Muhajer said in a recording distributed by Al Furqan, a media organization linked to ISIS. ISIS’s defeat at Baghouz will end its control of inhabited land in the third of Syria and Iraq that it captured in 2014. However, the group will remain a threat, regional and Western officials say.